Consumers searching for high-quality durable cleaning products appreciate Sanitaire vacuums. For over 30 years, hotels and businesses have counted on Sanitaire vacuums to clean carpets and bare floors all day, every day. Sanitaire vacuums still offer the best airflow for carpet cleaning. Riccar vaccums are made in the usa. Located in St.James, MO. Riccar is committed to manufacturing high quality vacuums. Maker of the new and innovative Tandem Air upright vacuum. Giving you high airflow performance for carpets and high sealed suction for tool use. Riccar stands behind their vacuums with one of the best warranties in the industry. 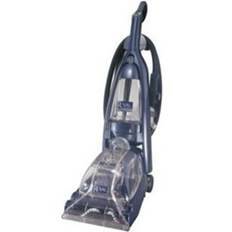 Panasonic vacuums offer you good value and performance. Looking for a mid priced powerteam vacuum with nice features. Panasonic is the one. Royal commercial vacuums have been used in schools and institutions for years. The die cast aluminum construction is the lightest, longest lasting machine available in the industry. Royals carpet cleaner is one of the best. Fingertip controls, no mixing shampoo and water have separate tanks. Dual suction intake one in front of bushes one in back of brushes. Motor driven brushes. High performance Eaton pumps and selenoids. We sell Beam, Hayden, Riccar by Cyclo Vac , Eureka, Electrolux, Vacuflo, HP, and more. We have power units, hoses, powernozzles. We carry pipe, valves, fittings, everything you need to install a system.